Tweedale has a strong tradition of professional architectural practice dating back to 1898. We attribute our success to a number of factors, including the expertise of our team, the value we offer our customers and the high standards we insist upon. However, it’s the close working relationships we build with clients that sets us apart and ultimately ensures a successful outcome. Communication is key. Client involvement throughout projects helps us deliver a tailored solution, enabling us to create the perfect buildings and developments for each client’s specific needs. We listen carefully to the brief, involve them in the design process and maintain a dialogue throughout the project delivery. This not only helps us provide the best service but offers peace of mind to our customers that the project is in safe hands. We recognise that every scheme is unique and carefully select a design team that is most suitable for each project. Our directors’ input also proves invaluable. Managers at Tweedale remain hands-on members of the team, willing to discuss the details of clients’ projects at any point, from inception to completion. We also recognise the benefits of employing specialist advisers and consultants outside our own skilled workforce for certain projects, which is why we have an extensive network of trusted partners that we can approach on our clients’ behalf. Tweedale is a multi-discipline company, providing professional services as architects, town planners, project managers (quality assured to ISO:9001) and CDM coordinators. We pride ourselves on our ability to combine creative flair with a solid, practical approach to design. The result is beautiful buildings that work perfectly for our clients. Our impressive portfolio of successfully delivered projects are testament to the expertise of our team of construction industry professionals. The reputation we have built locally and nationally for our high standards, attention to detail, customer liaison and service is based upon this wealth of experience. Because client satisfaction remains at the heart of our business, we always strive to impress. We place great emphasis on developing our team and staying abreast of changes within our industry. 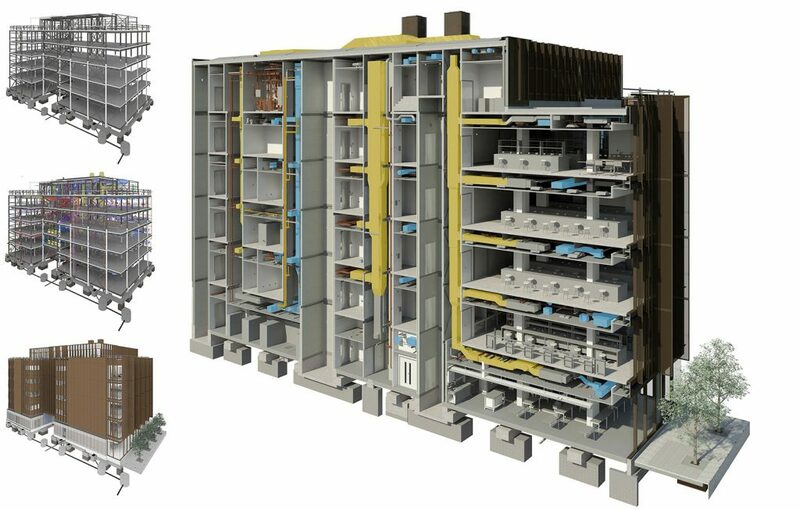 When the government set its Building Information Modelling targets, stating all government projects over £5million were to use BIM by 2016, we instigated a BIM software training programme for staff to help meet those targets. We are now able to design a building and its components in 3D, evolve the model with 2D drafting elements and access building information from the relevant databases. The close collaboration we have between our teams of experts brings added benefits to clients, as we pool our knowledge to maximise the potential of any site or development project. For example, our architectural and town planning teams work closely together, applying their combined, broad knowledge base to conservation and listed building projects. Tweedale also has considerable experience in strategic planning design and infrastructure planning, to advance Brownfield site development. This is provided through close coordination of our planning and design roles and design in parts from specialist consultants. We provide a spectrum of project management services, from preparing business cases and developing organisational frameworks, to straightforward procurement, design, construction delivery and operation. We have undertaken project management contracts for a wide variety of businesses and organisations that vary greatly in their nature, style and size. Our customer base spans both the public and private sectors, in the UK and overseas. Though with every project we find one commonality. Clients are embarking on a construction project to facilitate a change in their business. They may be expanding, diversifying or improving their workspace, but it’s always an exciting time, and something we feel privileged to be a part of. Working alongside our clients, we adopt a value-driven approach by clearly defining the project objectives, before deciding on the most effective solutions. We carefully consider how we can provide the best value for money at all stages of the design and construction process and always strive to achieve the highest quality results in the most timely, cost-effective manner. Experience enables us to rely on proven, tried and tested methods for delivery, whilst maintaining the flexibility that allows for a truly bespoke service. Our project management service has been independently accredited to ISO 9001:2008m standard. Regardless of the scale or complexity of a project, we employ and refine our systems and processes to provide control, governance and transparency from inception to completion. With every decision, we challenge the status quo and work diligently to find the smartest, efficient and cost-effective solution.